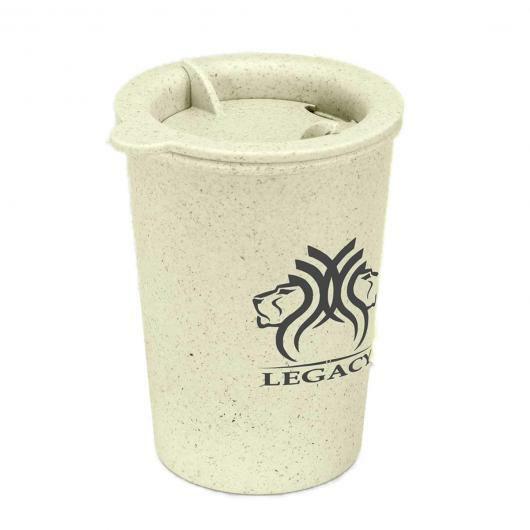 The ultimate environmentally friendly coffee cup, printed with your logo! Looking for the ultimate environmentally friendly coffee cup? Well you've come to the right place! 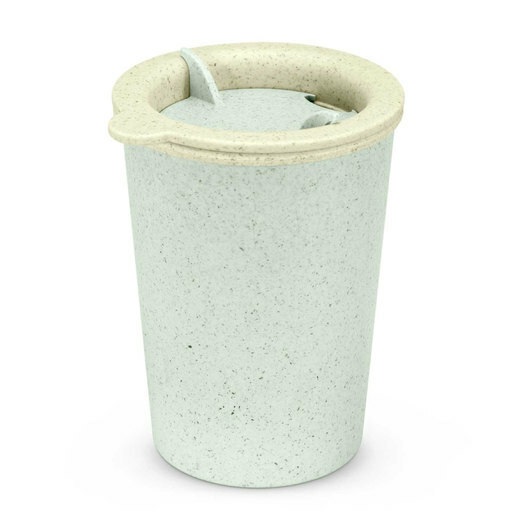 These 300mL double wall re-usable cups will keep your drinks hot while remaining cool to the touch on the outside. 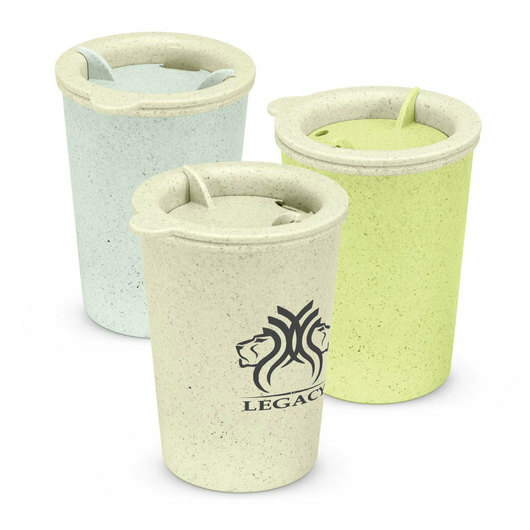 They feature a secure push on lid and have a splash proof sliding closure that allows you to cover the drink when you are not using them. The real story is the material these are made from: a 50/50 blend of natural rice husk fibre and food grade polypropylene which is lead, cadmium and BPA Free. Rice husk is usually a waste product with little value, so recycling this will not only reduce air pollution but also reduce the amount of plastic used!